Half way through the fiscal year, Northern Ireland (NI) still has no 2017-18 budget. A previous blog, Who has the power of the purse if the Assembly does not agree a budget?, set out the process for funding public services if the Assembly had not passed a budget by 31 March. With NI still without a government, in what state are the public finances? And how will the power of the purse be transferred back to politicians from civil servants? What is the current position of the 2017-18 budget? Back in April, Westminster passed the Northern Ireland (Ministerial Appointments and Regional Rates) Act 2017. This Act struck a ‘pence per pound of rateable value’ which enabled rates bills to be issued to NI’s domestic and non-domestic ratepayers. The permanent secretary does not have the authority to strike the regional rate; it would have to be the will of the Assembly. But since the Assembly did not meet to express its will, it was done instead at Westminster. One motivation for this was to avoid delay in issuing rates bills. 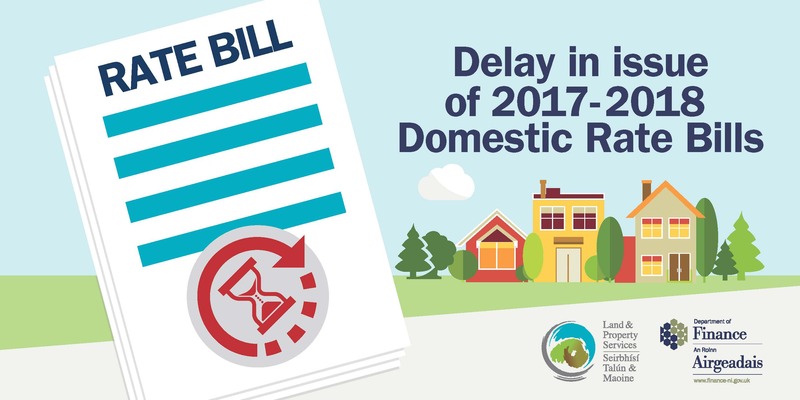 The DoF explained that delay would have meant that it was harder for Land and Property Services to collect rates in a shorter period, and ultimately, bad debts could have increased. All other things being equal, the enactment of the legislation in Westminster should have averted an increase in non-payment of rates. On 24 April, the Secretary of State for NI, made a written statement to Westminster about NI finances. …to reflect, as far as possible, the [NI Civil Service Board’s] assessment as to the priorities of the political parties prior to the dissolution of the Assembly and the further allocations they consider are required within the budget available. By so doing I intend to give clarity to Northern Ireland departments as to the basis for departmental allocations in the absence of an Executive, so that Permanent Secretaries can plan and prepare to take more detailed decisions in that light. These totals do not include the £42m of resource provided in the March Budget, as that extra funding was allocated after the last Executive dissolved. This is in order to maintain flexibility for the new Executive to allocate resources to meet further priorities as they deem appropriate. On 19 July, with the Assembly still unable to pass a budget, the Secretary of State for NI, made a written statement to Westminster. In effect, this took the form of an in-year monitoring round, which in the context of functioning devolution would be announced by an NI Minister of Finance. It can be seen, for example that £60 million and £30 million were allocated to the Department of Health and Department of Education respectively. This statement does not replace the ultimate need for a formal Budget for Northern Ireland. The exercise of s59 powers cannot be sustained indefinitely. And though the advice I have received from the Head of the NICS is that we have not yet reached that critical point, it is approaching. What about the money from the DUP/Conservative deal? …an additional £50 million per year for 2 years to enable the Executive to address immediate pressure in health and education. …any of the financial support the UK Government would be prepared to make available to Northern Ireland following the agreement between the Conservative Party and the Democratic Unionist Party. In a BBC interview on 1 October, the Secretary of State said that he would legislate at Westminster for a budget if an Executive is not formed in October. This would follow on from the previous actions he has undertaken in the absence of devolved government, as detailed above. If an Executive is formed before that time, a new Minister of Finance will have to introduce a Budget Bill and associated Estimates. This is so that departments do not have to continue to rely on the section 59 powers in the NI Act 1998. It is likely that there will be some procedural ‘tidying up’ required. This will have to take account of the fact that there were no Spring Supplementary Estimates (SSEs) passed for 2016-17. This process usually occurs in February each year, and gives legal effect to financial changes that happen during the year. The absence of SSEs means that for 2016-17, there will be more departmental under- and over-spends than would usually be expected. Beyond the technical budgetary processes however, an incoming NI Executive may also have to consider any repairs required to relationships after the confidence and supply arrangement. For example, the Scottish and Welsh Governments disputed the deal with the UK Government. The precise form any future legislative process for the 2017-18 budget year will take ultimately depends on whether a political solution is found to the current impasse.